UAP-OUTDOOR is end of life (EOL). 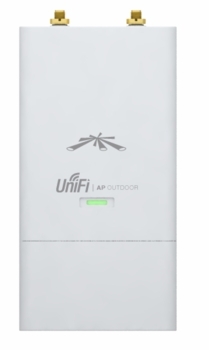 Ubiquiti recommends UAP-OUTDOOR+ for direct replacement. UniFi AP-Outdoor (UAP-Outdoor): Take UniFi outdoors and link 50% further than the base model UAP with UAP-Outdoor. Includes 2 external omni antennas and secondary Ethernet port.802.11n MIMO, 300+Mbps speeds, 600 ft range. UniFi Access Points feature the latest in WiFi 802.11n MIMO technology -- capable of 750Mbps speeds with ranges up to 600 ft.